After 17 months of operating with restricted resources, the San Diego Fire-Rescue Department finally has all its engine companies back in service. Daily rotating brownouts drove up response times until a growing public outcry prodded the powers at City Hall to restore full funding, for safety's sake. The public's awareness of the brownouts was minimal until the engine company in Golden Hill was out of service March 19th of last year -- unable to respond to what turned out to be a fatal apartment fire just three blocks away on Broadway. "We're heading into our fire season right now” said Frank De Clercq, president of San Diego Fire Fighters Local 145. “We're getting these engines restored, and I hope we never again see a day that we're standing down or having to restore engines…because when seconds count, we've been far too many minutes away,” De Clercq added. 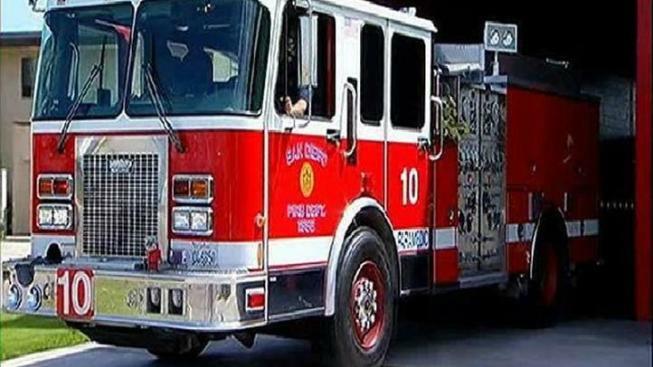 After 17 months of operating with restricted resources, the San Diego Fire-Rescue Department has all its engine companies back in service. The sidelining of the city's 47 engine companies each day drove up response times and was blamed for the choking death of a two-year-old Mira Mesa boy, and greater property damage at a number of house fires. 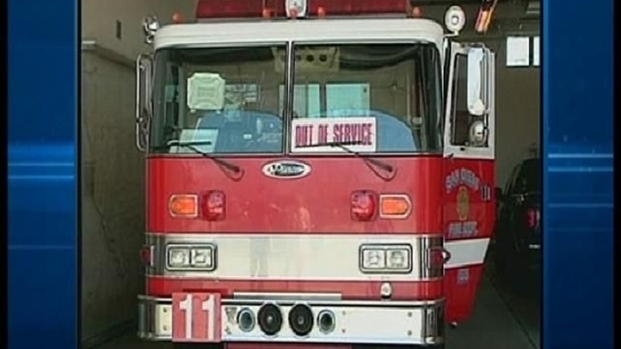 "We want to make sure that we're here, we're available, and our response times fit the requirements so that we can save people's lives," said Dena Sickels, a fire captain assigned to Station 40 in Rancho Penasquitos, whose engine company was continuously browned out. "There's a small window of opportunity when somebody goes into cardiac arrest,” said Sickles. Ultimately, the City Council voted to earmark the nearly $12 million dollars a year that was needed to restore the engines as of Friday, the first day of the 2011-2012 fiscal year. "We've had some compelling testimony from folks who waited for emergency responses for their children that were pretty terrifying," said Councilwoman Sherri Lightner. Even at full strength, though, the San Diego Fire-Rescue is under-equipped. According to consulting studies, the city needs a dozen more fire stations, and so Council members are now working on a long-range funding plan. "Over the course of the next five, ten, fifteen years," said Councilwoman Marti Emerald, who chairs the Council's Public Safety & Neighborhood Services Committe, "we actually have a plan each and every year to fund another improvement to the Fire-Rescue Department." At this point, the priorities call for building one in Mission Valley and another in City Heights over the next two budget cycles.